Most firms rely heavily on data to carry out their day-to-day business. Without access to their data, the majority of firms would struggle to serve their customers. However, many firms still do not take action and backup their data effectively. It is one of those jobs that tends to get forgotten or simply put on the back burner. Even firms who know that data backup is important sometimes do not get round to doing it or do not do it properly. Sadly, it often takes a system failure to bring home to firms just how important backing up data is. At this point, most firms go out and hire someone to help them to get their data storage and backup right. They learn the hard way just how important data is to their business. If you are one of those firms who is yet to be convinced of the importance of data backup take a moment to think what would happen if you lost just part of your data. For example, if you lose your customer database you would not be able to invoice customers for goods or services you have already provided. All of your mailing lists would be gone. You could no longer send out general marketing materials to existing customers. The chance for targeted marketing would be lost. Sending out marketing material with special offers that relate to similar products customers have bought in the past is a especially effective marketing technique. This represents what could happen if just one database of information is compromised or lost. Imagine what would happen if a firm were to lose all of their accounts for the past few years. How would they deal with their next tax or VAT inspection? The taxman can be understanding, but only up to a point. They have had too many companies trying to avoid paying to accept data loss as an excuse for a company not being able to provide proof of their overheads and sales. The other thing few companies fully understand is how difficult it is to recover quickly from a system failure without good backups. Some simply do not believe that their system can be hacked or compromised by a virus. They think that their hardware will not fail because it is so well maintained. Whilst it is true these risks can be reduced they cannot be completely eliminated. Even the military occasionally have their systems hacked or suffer hardware failures. No company is immune from these risks. Many companies have lost their data to fires, floods and power surges. These events are almost impossible to guard against. With good backups and the help of a good IT support firm like Concise.co.uk any company can quickly re-locate, or create a new network using replacement hardware. Getting started again is a simple case of loading up the data from the latest backup. 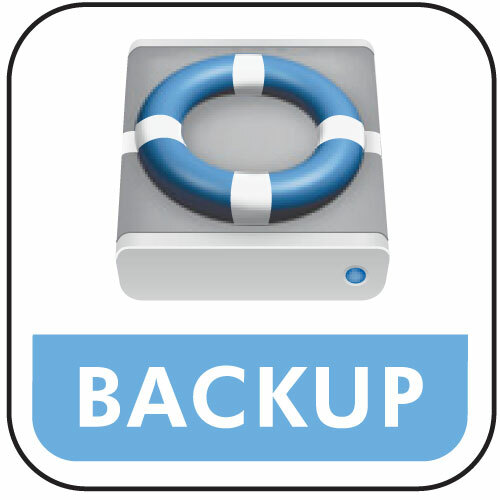 If a firm backups up at least once a day, they will have only lost a few hours of data, and therefore be able to recover and begin working as normal in less than a day.